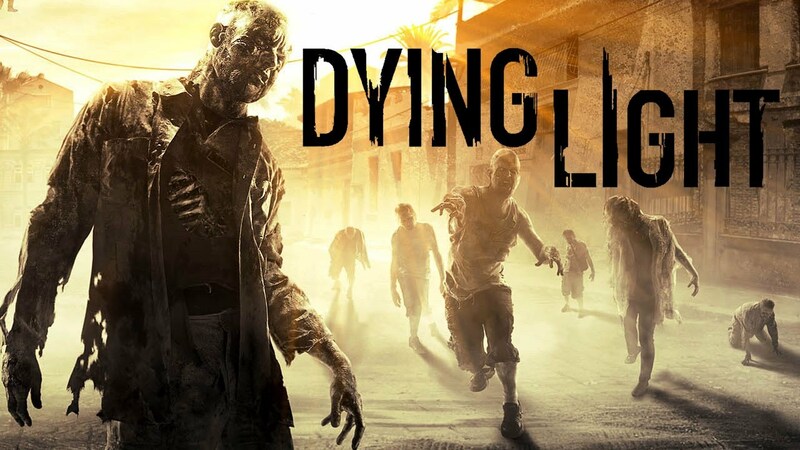 More free content in on the way for Techland’s zombie survival game Dying Light. The new downloadable content is based around the developers health conscientious, social media campaign dubbed #DrinkforDLC. 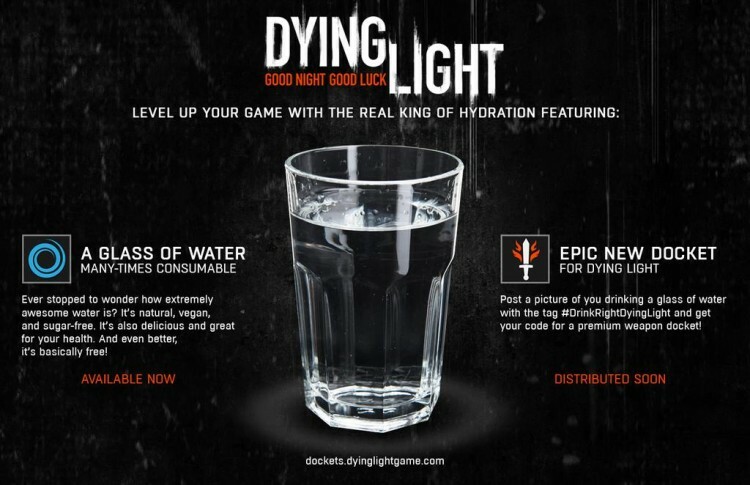 Techland’s campaign encourages its player base to drink water and stay hydrated (both essentials for zombie survival of course!) The campaign itself has reached over 15 million people and acquired around 15,000 creative photos/videos of gamers drinking water and offering support to the studio’s movement. By sending them a photo with the tag #DrinkRightDyingLight, players will obtain a code for a premium weapon docket. This, however, is not the only thing Techland is doing, as Dying Light is set to receive a three-part DLC pack that is completely free to anyone who owns the game. Below is the information on all three DLC updates coming to the zombie game. Water 2.0: New blueprint for a throwable weapon that increases electrocution effects across all weapons. The Fountain of Youth: All new quest set in Old Town that focuses on exploration. Water Challenges: Two parkour challenges designed around the theme of water. Sadly this DLC will not be accessible until early February, but will be also available to anyone who purchases Dying Light-Enhanced Edition releasing the same day as the update. One has to commend Techland for supporting their game so vigorously, as it has received a torrent of DLC and updates for its user base. One only has to wonder how long they will continue to support Dying Light before moving on to the next one. What do you think of Dying Light’s new content? Will you be supporting the new health-focused campaign? Interested in seeing more content for this game or start a new one? Sound off below!